Visit Benalla offers guided walking and mini bus tours, and your cycling tour needs. If you are more into self guided touring allow Benalla Tours to assist you with information, accommodation and travel needs. Ned Kelly’s name and deeds are etched into the Australian story. 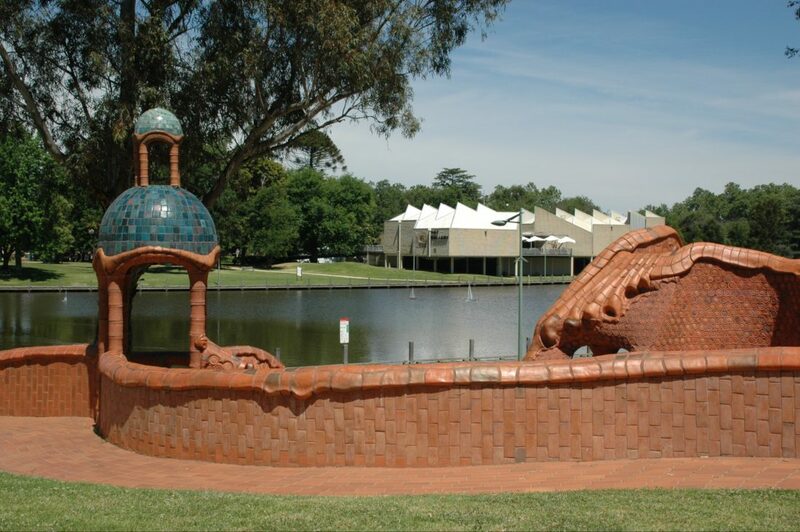 Benalla is the epicentre of this story, so let Visit Benalla tours take you on this journey. Experience the landscapes, wineries, villages, arts culture and history. Visit Benalla is run by passionate locals who are wanting visitors to experience the secrets that Benalla and the North East region has to offer. The Benalla Street Art Committee ran the first Wall to Wall Festival in 2015, there are now over 45 walls displaying street art by some of the best Australian and International street artists. One wall by Adnate was voted number eight out of 100 of the world’s Best Street Art 2015. This tour takes you around 25 walls in the Benalla CBD, and gives insight into the artist and their works. Ned Kelly. The very mention of the name evokes pictures of villain, hero, the down trodden and the suppressed. Benalla has some of the most incredible memorabilia associated with the Kelly story. This guided tour takes you through the Kelly sites within the Benalla CBD and includes stops at the Benalla Courthouse, the Bootmaker’s shop and the Commercial Hotel, where the police set up headquarters for the manhunt of The Kelly Gang. You will visit the Benalla cemetery the final resting place of Joe Byrne and others caught up in the Kelly saga. Have you ever wanted to experience what it would be like to race around one of Australia’s premier race tracks? Well here is your opportunity. You will be strapped in as a passenger into one of two V8 supercharged utes or a supercharged GT Falcon for four hot laps of the Winton Motor Raceway circuit. This is a great opportunity for yourself or as a gift for someone in need of an adrenaline rush. The Winton Wetlands is an ephemeral wetlands located near Benalla in North East Victoria, with over 8,000 hectares this is an incredible landscape to visit. Art In The Landscape is an an evolving work of artworks and installations using the landscape of the Winton Wetlands as a canvas. The concept is to involve and engage visitors in the landscape and its cultures. This guided tour takes in the existing artworks and installations, these works have been created to be evidence of the respect, loss, renewal of the indigenous and non-indigenous interaction with the landscape. Works by Guido van Halen, Cam Scale, local artist Tim Bowtell, Jack Anselmi, Tammy-Lee Atkinson, Troy Firebrace and Bailey Bish. The Winton Wetlands seen through the artworks and installations adds to the experience. This is an easy way to explore the Ned Kelly sites in Benalla. Bring your own bicycle or be provided with a hire bicycle, This tour takes you through the Kelly sites within the Benalla CBD and includes stops at the Benalla Courthouse, the Bootmaker’s shop and the Commercial Hotel, where the police set up headquarters for the manhunt of The Kelly Gang. You will visit the Benalla cemetery the final resting place of Joe Byrne and others caught up in the Kelly saga. The success of the Benalla Street Art has seen the development of silo trails in Victoria and in small townships around Australia. This tour is a unique opportunity to discover great pieces of art and fascinating landscapes. This guided tour gives background to the artworks and to the region. You are also able to organise a guide to accompany you if you have a bus tour. Enjoy playing golf? This tours include unlimited golf at the Benalla Golf Club, accommodation is offered from motel style BnB or self contained. Benalla is located two hours North East of Melbourne up the Hume Freeway of if you like to travel by train then we can arrange transfer from the Benalla Railway Station. Have a drink and discuss the great golf that was played or will be played, the Benalla Golf Club has outside sitting areas where you can enjoy a drink and watch kangaroos and other wildlife. As part of the Golf Package you will receive meal vouchers from the Benalla Golf Club Bistro, great food and try a local wine. Take advantage of taking one of our guided tours after your round of golf.